He participated at the conference “The Screens of Arab Springs” held December 9, 2011 in Marseille for the 16th edition of PriMed. Watch his speech here …. PRIMED 2011 : THE SHOW GOES ON! 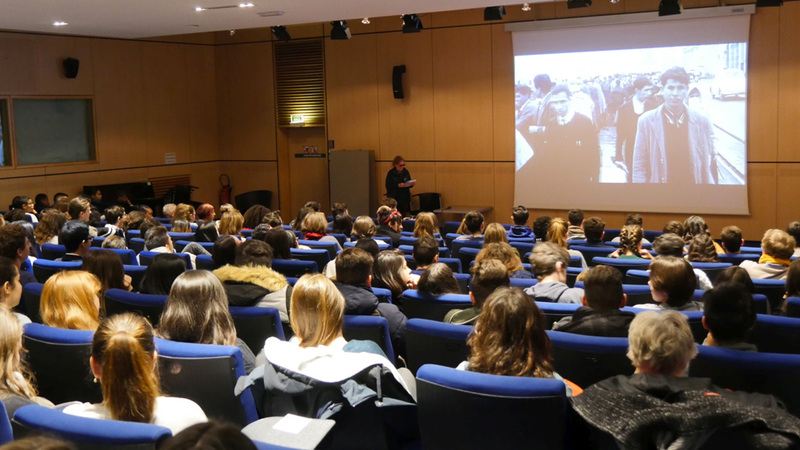 After the huge success of free screenings for the public on Marseille Primed offers to everyone the opportunity to review the films in competition at the Alcazar video library. The first edition of “CYCLE REPORTAGE ET DOCUMENTAIRE” was held from September 15 to 19 at the Cinematheque of Algiers.